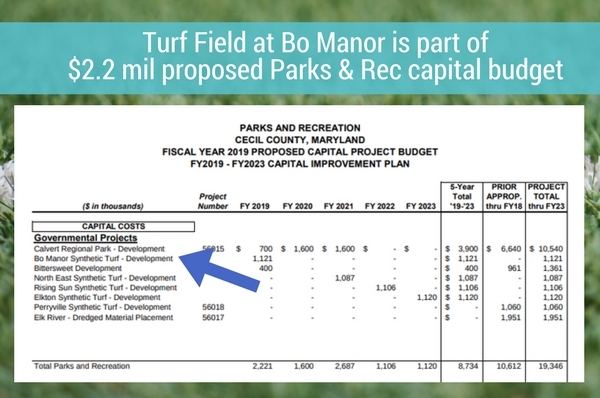 On March 30, Cecil County Executive Alan McCarthy announced his proposed county budget for FY 2019 which included $1.1 to install the county’s third artificial turf playing field at Bohemia Manor High School. Getting the field into the proposed budget is just the first hurdle for this project. It’s not a done deal…not by a long shot. 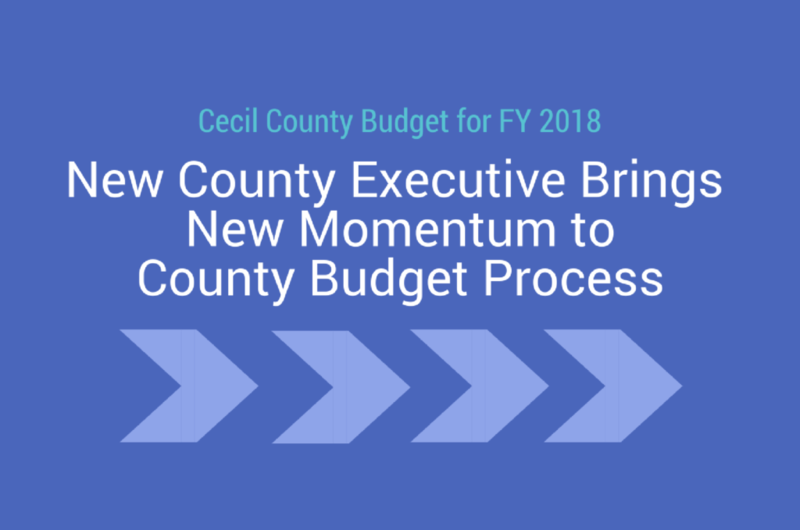 The proposed budget is now in the hands of the Cecil County Council for approval and, while they can’t add to the budget, they can, and will, cut items from the budget. And a $1 million project is an easy target, especially when it’s part of a $2.2 million capital budget for parks and rec, a budget that includes $400,000 for unspecified improvements at the newly acquired Bittersweet park and $700,000 in additional improvements at the Calvert Park complex. Budget deliberations are always dramatic and this year’s deliberations will be no different. It would be easier for the council to cut the field than to face the ire of the small but outspoken group who relentlessly lobby for lower taxes year round. 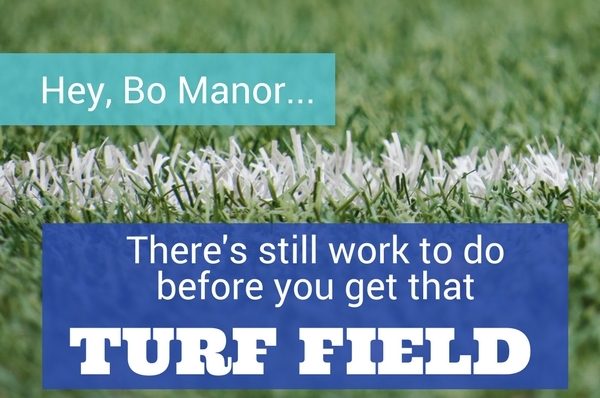 In order for this field to become a reality, the Bo Manor community will need to advocate for the project to the county council. Until the council approves the budget in early June, nothing is final. 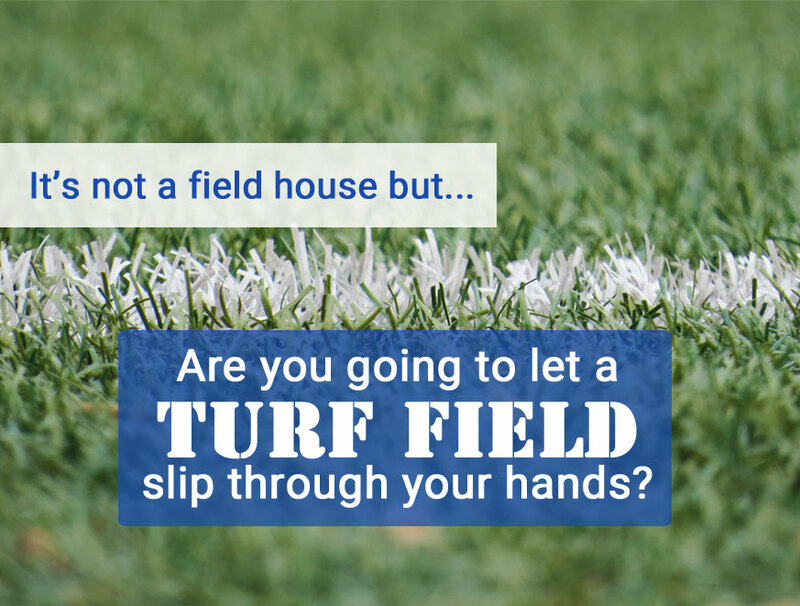 When we advocated for the turf field at Perryville High School during last year’s budget deliberations, we tried to send at least one community member, be it a coach, a parent, or another interested party, to each speaking opportunity, and we encouraged people to join them as a show of support. Only one person needs to speak but make it clear that the others in attendance share the same concern. One night I convinced my husband and teenage sons to wear Perryville swag and sit in the crowd at the council meeting while I spoke. On a different night our principal and some coaches joined us at a council meeting. Every touch counts. Not everyone is comfortable with public speaking so keep in mind that email is also effective. One of our coaches took the time to spell out the names of this players and the injuries they suffered that he attributed to our field conditions in previous seasons. Tell the council your unique story. When Alan McCarthy was sworn in as Cecil County Executive in December, I had more questions than answers on his plans for the county. Would he stay the course of the previous administration by keeping the county’s head barely above water, so focused on merely surviving that planning for the future almost seemed like an afterthought, or would he be a force for change? In March, he announced his first budget and demonstrated that he was setting a course that would start moving the county forward. Yes, the proposed budget includes tax increases but, for the first time in years, the budget is balanced and doesn’t rely on fund balance to do so. For nearly 20 years, the County had been depleting its savings to cover budgetary shortfalls. That ends with this budget–well, it could end with this budget, IF the Cecil County Council votes to accept Dr. McCarthy’s budget as proposed next week. The proposed budget includes a .20 increase in the income tax rate to 3.00, which if approved, would be the first increase since 2001. The new rate remains inline with those of our in-state neighbors, Harford County and Kent County. Few things are less expensive in 2017 than they were in 2001–actually, nothing is less expensive. The proposed budget includes a .0500 increase in the property tax rate to 1.0414. 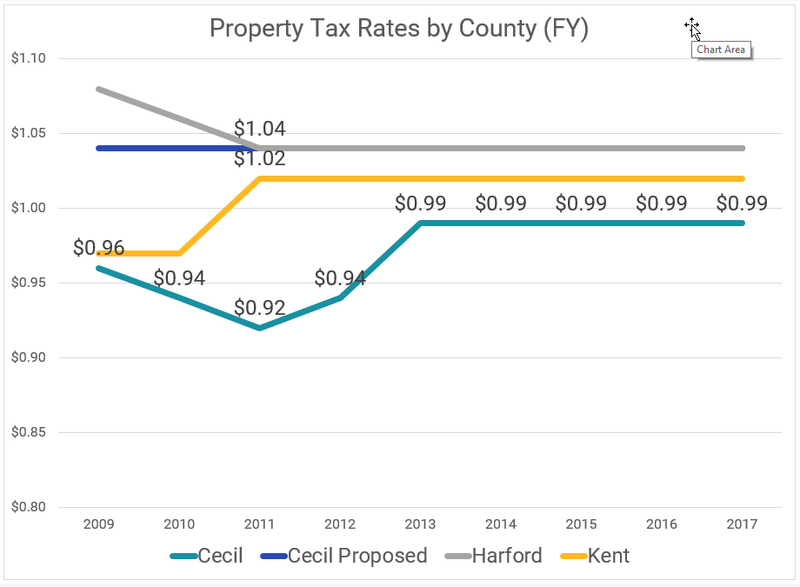 Cecil County actually reduced its property tax rate during the recession and has remained level for the past five years and, even with this increase, remains inline with the rates in Harford and Kent Counties. Even if no other expenses in the county increased in recent years (a thought so preposterous that it’s laughable), funding decisions at the state level have hurt Cecil County. Each year, the state collects millions of dollars in tolls and gas taxes and, in the past, 30% of those funds were returned to the counties for the maintenance and repair of locally-owned roads and bridges. But in FY 2010, the state decided to reduce the portion returned to the counties to just 10%. 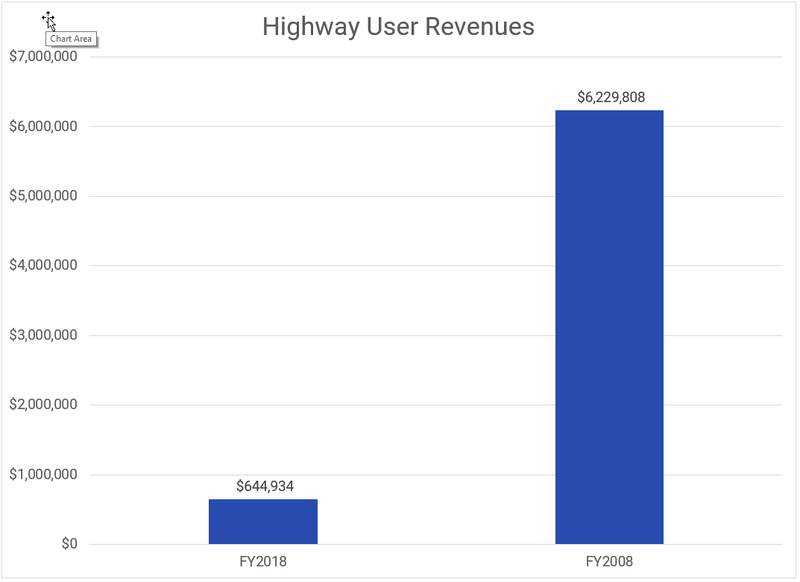 At the county executive’s town hall on the budget in February, we were told Cecil County’s share of the highway user revenue plummeted from $6,229,808 in FY 2008 to just $644,934 for FY 2018 (projected). So where do all those tolls the state of Maryland collects for the two bridges on the main roads into Cecil County end up? In the state’s accounts or on projects in other counties. How much money are we talking about? In FY 2016, $11.6 million in tolls were collected on the Thomas J. Hatem bridge that carries Rt. 40 over the Susquehanna River and $168.9 million in tolls were collected on the Millard E. Tydings bridge that carries I-95. Let those numbers sink in. Regardless of the total collected, a pittance ends up coming back to Cecil County. Not only did the state opt to slash the counties’ cut of the highway funds but they also chose to push the financial responsibility for teacher pensions, an expense that had historically be funded by the state down, to the counties. That expense of nearly $4 million per year was phased-in over the 2013-2016 fiscal years–while Cecil County, like most in the state, was still reeling from the recession. You can read more about the 2012 change here. 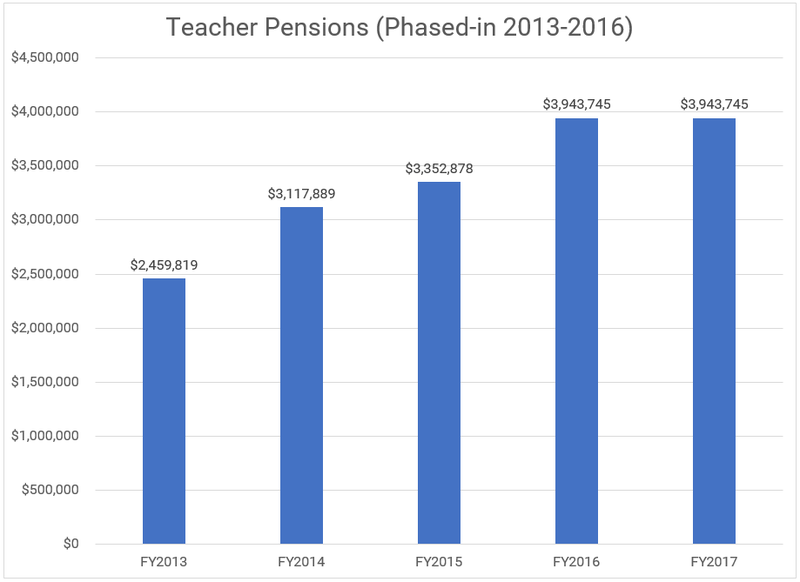 In summary, we’ve seen highway funds dry up and teacher pensions “shifted.” All the while, Cecil County did little to offset those crippling financial blows. Ok, enough doom and gloom. Let’s talk about a bright spot of this budget cycle. The spirit of this year’s budget conversations is different from those in the last few years. In the past, county agencies and supporters were pitted against each other in a battle for any available additional funds. But this year we’ve heard representatives from those agencies advocate for their own budget as a component of the overall proposed budget. Speakers at last week’s budget hearing represented Cecil College, Cecil County Public Library, Cecil County Public Schools, Cecil County Emergency Services and emergency-related associations, and Cecil County Parks and Recreation and I’m sure a few groups I’ve forgotten who were all advocating for the budget as proposed. In a time when many are divided, it is refreshing to see these groups band together for the greater good. That’s not to say there weren’t those speakers fighting against the budget and the necessary tax increases. From my tally, it was pretty evenly split with 20 speakers supporting the budget and 17 speaking against it. That makes it even more important that the county council hear from us before they continue deliberations on Thursday and vote next Tuesday. For too long, Cecil County has been trying to make do with less and we’ve just continued to dig ourselves a deeper hole. At some point, we will have to invest in our community. If we don’t start this year, when will we? There is never a “good” time. We need to start now. Two seats on the board of education for Cecil County Public Schools are up for vote on Tuesday and, in this election year with a highly contentious presidential race, it’s easy to see how the a voter might think the race for board of education is inconsequential. Any person running for the position must be interested in advocating for public education, right? Not so fast. What part of “non-partisan” don’t they understand? During the primary campaign I wrote two articles outlining some of the responsibilities of board of education members and the laws they take an oath to uphold. (Here are links: Maybe He Filed for the Wrong Office and Are Fringe Candidates Attempting Hostile Takeover of Cecil County Board of Education?) 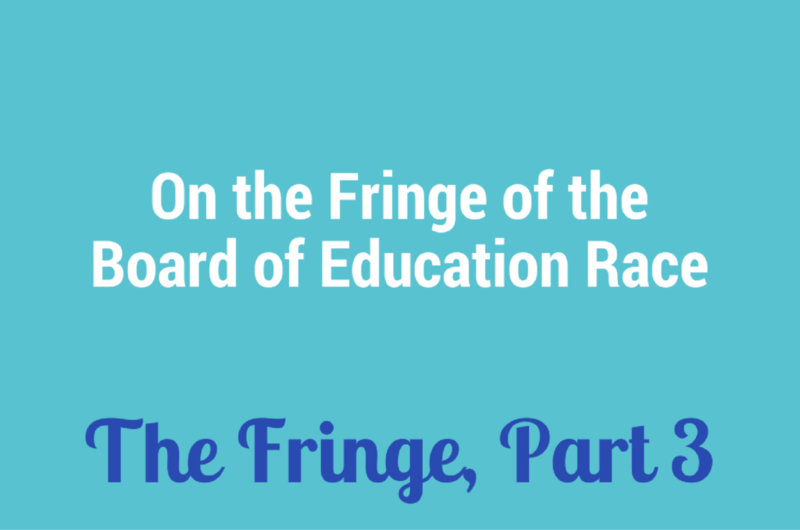 Also in those articles, I demonstrated that board of education candidates Kevin Emmerich and Ron Lobos, running together as the “Conservative Education Slate,” had expressed views that were in direct conflict with those responsibilities and laws. Despite the defeat of his running mate in the primary, Mr. Emmerich, who is in a race against current board member and former Cecil County commissioner Bill Manlove, doesn’t appear to have changed his stance. In a post on his Facebook page stating his “areas of focus” from September 29, 2016 , Mr. Emmerich writes, “I also attended the CCPS budget presentations this year and that is when I decided the Board of Ed. needed a conservative voice and felt I should run for Board of Ed. in the 1st District.” He makes no mention of any specific issues he had with the budget presentations or suggestions for how he would address those issues. He just dropped the buzzword that he believes to be his ticket to a seat on the board. Holding a seat on the Cecil County Board of Education means more than attending a meeting for two or three hours every few weeks and posing for the occasional photo opportunity. Board members also spend countless hours outside the walls of the Carver Center visiting schools, reviewing documents like budgets, policies, and annual reports that will be discussed at future meetings, and meeting with county officials and education advocates. “More budgeted funds going to the classroom or deferred maintenance.” Another vague statement with no citations for the budget line items that he feels show funds being spent somewhere other than in the classroom or on maintenance. All the CCPS budget documents and annual reports for the last five years are posted on the CCPS website so there’s no reason not to provide facts to support his position–that is, if there are facts that support his position. “COMAR calls for substance abuse awareness in health class. With the amount of drug abuse in this County, I wonder if what we’re doing is enough?” If Mr. Emmerich read the documents supporting the CCPS budget request, all of which are available online, he would have seen that the school system has made adding drug education teachers and student services resource teachers a priority in the last two years. With a little more research he would seen that a presentation about the CCPS “LifeSkills” training program was made at the July 11, 2016 board of education meeting. “CCPS should encourage individual achievement over Government dependence.” And this point? I have no words. “Work with the Administration to fund the schools needs in ways that don’t cause unnecessary increases in Maintenance of Effort for the County.” I can’t wait to hear his suggestions for this point. “CCPS should post performance data in a comparative format. 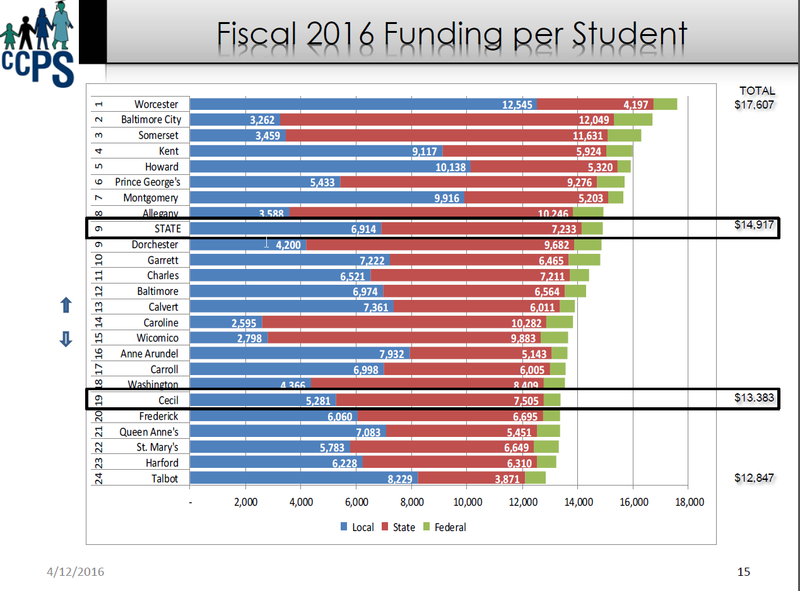 Data included would be test scores for last 3 years, total number of students and cost per student. This would allow the citizens of the county to judge the schools effectiveness.” It looks like Mr. Emmerich needs an introduction to Maryland Report Card, the Maryland State Department of Education’s public website that houses enrollment, demographic, and assessment data for every county and school in the state. The site includes all the data he’s requesting except for the cost per student and that was included in the board of education’s presentation to the county council which is available online and included below. Cecil County ranks 19 out of 24 districts for education funding per student and, at $5,281, the county’s portion of that funding is considerably lower than the state average of $6,914–$1,633 lower to be exact. More CCPS contracts should be available to local contractors–Again, Mr. Emmerich doesn’t provide any facts to support this point. What geographic area does he consider local? Cecil County borders on two other states and many of our county’s residents work for out of state employers. Does he consider that local? Further, CCPS is required to follow strict policies for procurement (here are just two of them Procurement Policy and Procurement Procedures) and the bid recommendations are presented, discussed, and voted on at board of education meetings and supporting documents are available in Board Docs. Additionally, it was noted at a recent board meeting that it is becoming increasingly difficult to find qualified contractors who are interested in bidding on some projects because an improving economy and construction booms in neighboring school districts have created new options for contractors. Before voting on Tuesday, please do your own homework. Learn more about the candidates for board of education and make sure you vote for the two candidates who are running for the right reasons–the nearly 16,000 students in our public schools. At least most of us agree–the North East branch of the Cecil County Public Library needs a new building. Yay, for agreement! We also seem to be in agreement about the chosen location for the new library–the North East Station shopping center that is anchored by Food Lion and Lowes. Another cheer for agreement! One thing we can’t seem to agree on is the amount of funding the county should provide for the construction of the new library. Boo for disagreement but without it I’d only be able to write about sunshine and rainbows–and that gets boring after a while. Right now there is a wide divide between the projected cost from library system and the amount of funding some members of the Cecil County Council have proposed for the project. 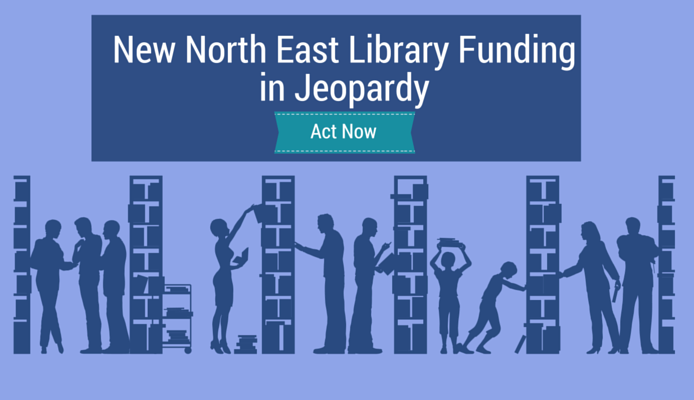 Why does North East need a new library? According to a representative of the library, for every 3 children who participate in the Summer Reading and Learning Program in Elkton, only 1 child participates in North East. Every year, hundreds of children are closed out of library educational programs and classes in North East due to lack of space. Area schools are forced to transport students to other libraries to work on research projects because they simply cannot fit a class in the building and because resources are limited. We want to build a library of a size that adequately serves not just the current population of the area but one that can sufficiently meet the needs of a growing community. Cecil County made the mistake of constructing an undersized building for the current building and the library was too small from the day it opened. We can’t afford to make that mistake again. 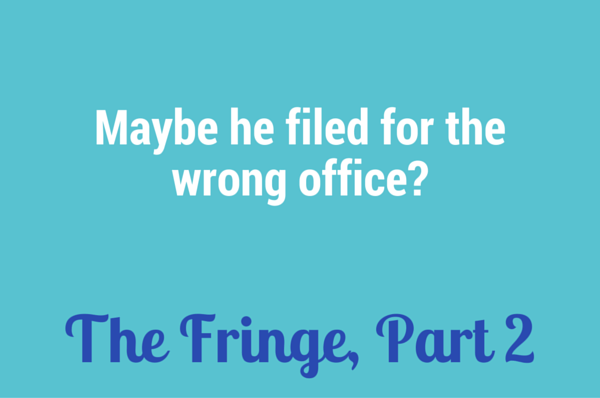 We must do it right the first time–or would this be the second time? The Wilmington Area Planning Council projects the population of the greater North East area to grow 50% by 2040 (from 23,259 in 2010 to 34,862 in 2040). Here’s a link to their data According to the state of Maryland’s standards for library construction, a library branch to serve a community of this size should be 30,000 sq. ft.
CCPL is currently headquartered in the same building as the Elkton branch, a building of 25,000 sq. ft. Elkton’s population is a little bigger than North East’s right now and is also expected to increase by about 50% by 2040 so it won’t be long before the branch needs to use every bit of those 25,000 sq. ft. in order meet the community’s needs. 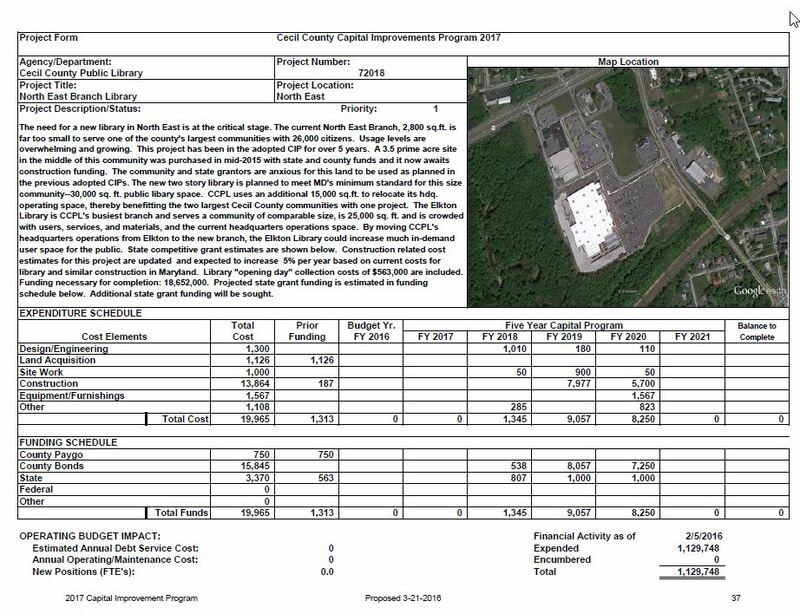 In the proposed Cecil County Capital Improvement Plan (CIP) for FY 2017, the library project is estimated to cost $18.6 million to complete (the land has already been purchased and the cost was split between the county and state. You can read more about that here. This project has been in the county’s CIP since at least 2010. Here’s a link to the proposed CIP for FY 2017. During last Thursday’s county council deliberations over the FY 2017 budget, Councilman Dan Schneckenberger proposed that the council limit Cecil County’s contribution to the project to $12.8 million. You can listen to the debate in the audio from the meeting (1:39:00 mark in this recording). Here’s an article from the Cecil Whig about the meeting. I’m new to the library budget but it’s my understanding that, like public schools, large capital projects for public libraries must also be reviewed and approved at the state level in order to be considered eligible for state grant funding. State aid for these projects represents millions of dollars of funding and is contingent on presenting a well-justified project that uses universal planning standards and population projections to size the building, as well as accurate cost projections that are reviewed annually by a licensed architect. The state of Maryland has already reviewed the initial documents and cost projections for the North East branch as proposed by CCPL and County Executive Tari Moore in the CIP. At this point, alterations to the project, which would potentially bring it out of compliance with state standards, risk that support for the project. The county council is scheduled to vote on the FY 2017 budget for Cecil County on Tuesday night. If we want to see the North East branch proceed as proposed, we need to make our voices heard by the county administration. Calvert Regional Park is a Cecil County Parks and Recreation facility being built in phases on Brick Meeting House Rd. near the intersection with RT 273. There is little disagreement that the park is beautiful and should be a source of pride. It’s home to Cecil County’s first artificial turf playing field as well as 9 additional fields and a walking trail. Three years later, CCPR continues to offer programs at fees that are significantly lower than similar nearby programs and is another example of a Cecil County department doing more with less. Cecil County spends only $9 per person per year on parks and recreation programs–the lowest per capita spending in the state of Maryland! The statewide average is $99. To summarize what I’ve said so far: Yay, Cecil County Parks and Rec! You’re doing the best you can with the meager funding you’ve received. Now, let’s talk about the points that we may disagree on. 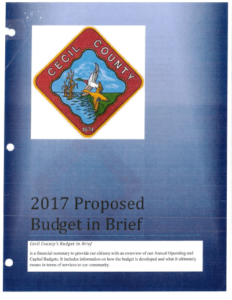 Last week the citizens of Cecil County had an opportunity to share our thoughts with the Cecil County Council about the proposed budget for FY 2017. It was the smallest crowd I’ve seen for a budget hearing in the last few years but it was also held considerably later than in years past and was scheduled for the Thursday before Memorial Day so I’m sure families were busy making plans for the long weekend or attending the many little league games that have had to be postponed during this soggy spring. Some of the usual groups attended and advocated for funding for Cecil College, the Cecil County Public Library, and Cecil County Public Schools. We gave our usual remarks and even joked on our way out about the frustration of having to say essentially the same thing every year with little change in behavior from the county. At the end of my allotted time, I talked about Calvert Park, I asserted that no more money should be invested in the park until the more pressing needs of the county have been met. The powers that be in Cecil County have watched the school system’s deferred maintenance list balloon to $44 million over the last decade. 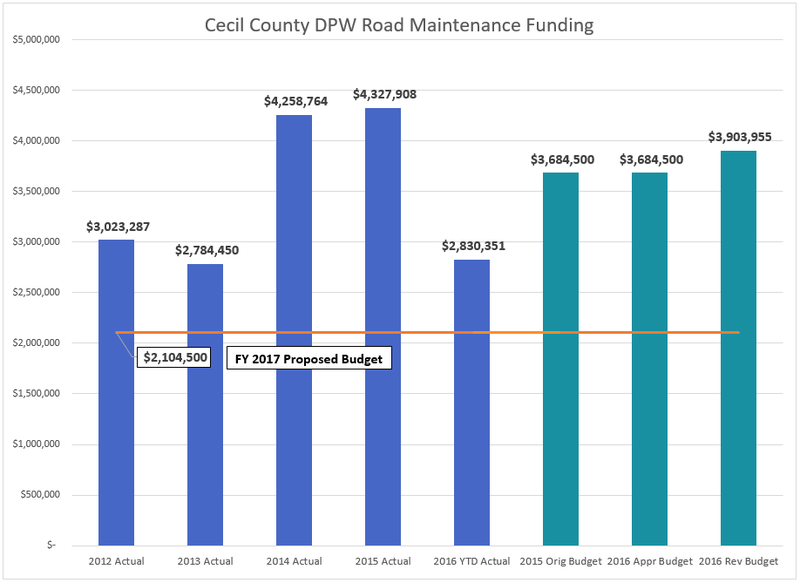 Now the county appears to be willing to put the department of public works on a similarly destructive path by slashing its budget by $2.4 million, including the elimination of $1 million of paving. Here’s a post about that. As long as Cecil County can’t adequately fund necessities like schools, roads, and law enforcement, it has no business investing more money in Calvert Park. As long as the existing playing fields at our schools are either bare or nothing but weeds, no more money should be invested in constructing additional playing fields at a facility that many kids in our county will never have the opportunity to play on. 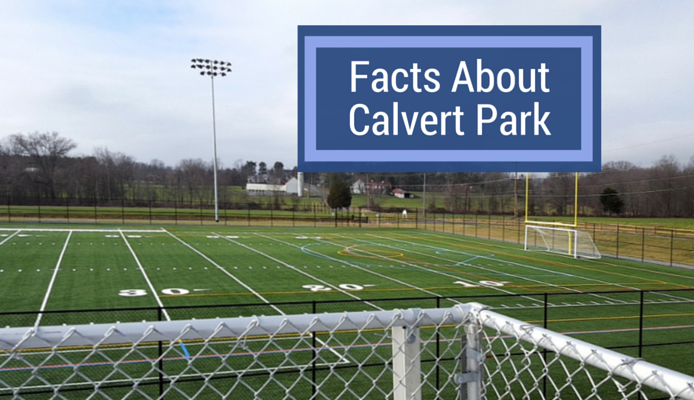 Here are the facts I’ve dug up about the Calvert Park project. How would that $1.8 million be spent? Did you get that? Paving at one facility in the entire county but cutting the budget for paving county roads…and a dog park. I love dogs; our giant beast of a mutt nearly smothers me every night but Cecil County is a long way from being able to afford a dog park. One of the main justifications for developing Calvert Park the possibility of drawing large sports tournaments to the area. Phrases like “sports tourism” and the promise of “economic revitalization” have been tossed around as supporters grasped to justify the project. That’s way out of our league. In sporting terms, that facility will be the equivalent of the show and we’ll be playing single A ball. Since my sons are older teens, I thought neither of them would eever have the opportunity to play on the only turf field in the county because it’s padlocked shut. Fortunately or unfortunately, Perryville High School hosted the UCBAC track and field meet on our new track on the same day our boys’ lacrosse team was required to play a playoff game. An arrangement was worked out that allowed Perryville High School and Bohemia Manor High School to play on the turf at Calvert Park. Calvert Park is a beautiful facility and those who can travel there will continue to enjoy it but it won’t be the huge economic driver some in the county are hoping for. North East and Rising Sun will see some economic activity from the facility but towns farther away like Perryville and Elkton will see little economic benefit. Ah, the casino money (video lottery terminals, in political speak). Aside from the portion the County awards through the annual grant program and the amount the town of Perryville receives, I haven’t spent much time thinking about where Cecil County spends the rest of the money. By the time the project is completed, $853,000 of the VLT funds funds will have been spent there. I’m not saying there’s anything wrong with using part of the revenue from the casino on such a project, however, it appears to be the only capital project that is planned to receive funding from that source in FY 2017, at least as far as I can tell from the CIP. The Cecil County budget will be finalized in the next few days. I encourage you to contact our county representatives with your opinions on the budget. At least they won’t be paving paradise? 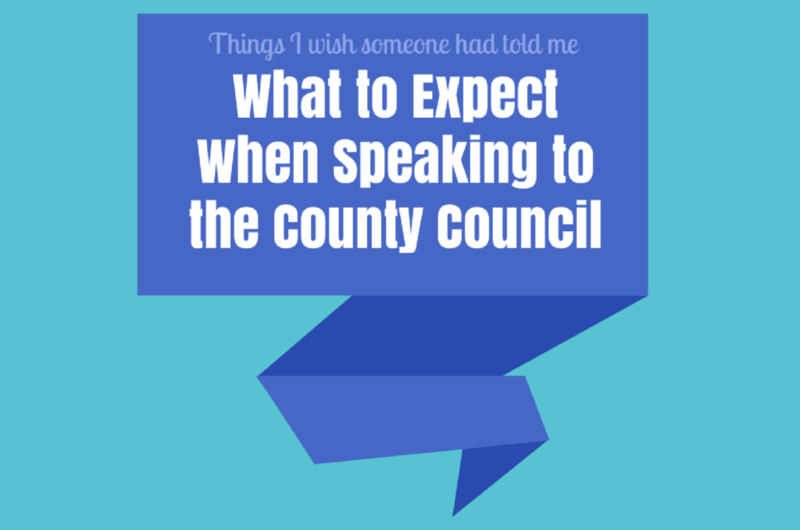 In my last post I shared some of the reasons for my mixed feelings on the budget Cecil County Executive Tari Moore proposed on April 1–but not all of them. While I’m a vocal advocate for public education, I also expect the county to adequately fund the other operations that are necessary for modern society. Emergency services, public works, law enforcement are just some of the departments and activities that are critical to the future of our county. Has road maintenance gotten cheaper? Are our roads in such great shape that few need paving and repair this year? The $2.1 million proposed for Roads Maintenance is significantly lower than the actual costs in FY 2012, 2013, 2014, 2015 and the 2016 Year to Date Actual Costs of $2,830,351 (per the FY 2017 Expenditures Budget Report posted on the county website. There isn’t a date on the document so I’m not sure how much of the year’s expenses are actually represented). And represents a 100% reduction in “Asphalt Overlay.” One million dollars for road paving–the entire budget for that line item–cut. I’m a little surprised that there hasn’t been a peep from the council, the media, or the public questioning the proposal to cut road paving in 2017. We’ve seen how such draconian and short sighted spending cuts have damaged our school infrastructure. 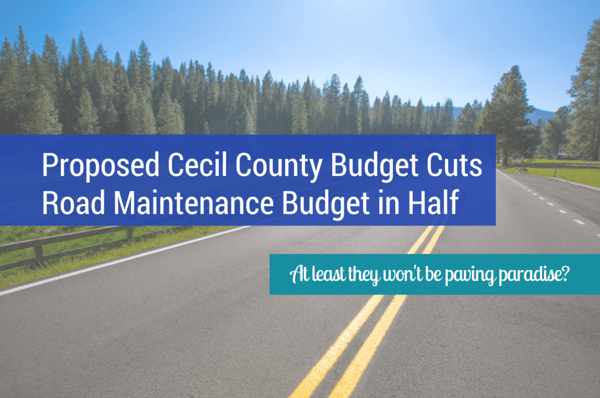 Cecil County Public Schools and, therefore, the citizens of Cecil County are now facing a list of deferred maintenance projects totaling $44 million because of the county goverment’s decision to not adequately fund capital improvements at our schools. Can we afford to have the same thing happen to our transportation infrastructure? It’s not too late. The council will be deliberating on the budget in the coming week and will vote on June 7. Email the county council and administration and share your thoughts with them. If you had $1.8 million, what would you do? 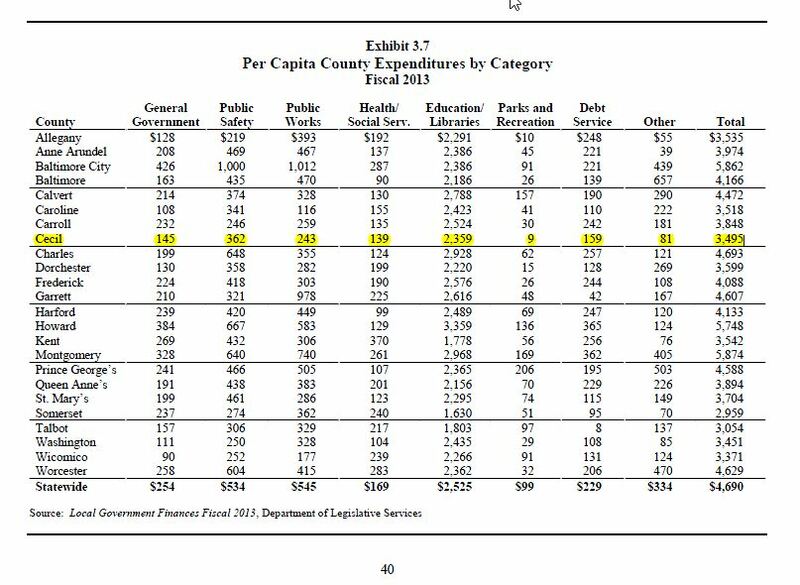 It’s been nearly 8 weeks since Cecil County Executive Tari Moore introduced her proposed budget for FY 2017 and I’ve hardly posted a word about it. I’m sure some were hoping that I’d overlooked the fact that the Cecil County Council will be finalizing the budget in these next two weeks in advance of their vote on the final budget on June 7. I may have been distracted by an ugly county primary election and the high school lacrosse season but the bigger reason for not posting anything about the budget was that I have such mixed emotions about it. Yes, there are positive parts of the budget for Cecil County Public Schools but there are parts of the budget that are disappointing for our school system, its employees, and the families and communities it serves. Since the proposed budget was introduced at a press conference on April 1, I was holding out hope that it was an elaborate April Fool’s prank. Unfortunately, after waiting 8 weeks for the “gotcha!” I’ve now got to face the facts. Prior to the introduction of the FY 2016 budget last spring, it took herculean effort to secure funding from Cecil County for CCPS-related projects, most notably the new Cecil County School of Technology and the renovation of Perryville Elementary School. And without the county funding its share of additional large capital projects, the state of Maryland wouldn’t provide funding for its share of the projects. This meant that Cecil County missed out on potentially millions of dollars of capital projects during those years–basically “leaving money on the table” that the state would end up sending to other school systems. During down economic times in Cecil County, those additional funds had the potential to change the lives of local tradespeople employed on infrastructure projects. Cecil County Executive Tari Moore surprised many with her FY 2016 budget. For those of us advocating for public education, it was a pleasant surprise that included the funds for planning the replacement of Gilpin Manor Elementary School and a commitment to fund the planning of new school every two years. Once planning funds were secured, CCPS set out designing not just the new Gilpin Manor school, but also developing those plans as a prototype for the Chesapeake City Elementary School replacement. Another example of CCPS leadership having the foresight and resourcefulness to make the most cost effective use of county funding. The proposed budget includes the county’s share of funding for boiler replacement projects at Bohemia Manor Middle/High School, Kenmore Elementary School, Cherry Hill Middle School, and Thomson Estates Elementary School. These projects were also recently approved to receive the state’s share of the necessary funding. The current Chesapeake City Elementary School was built in 1939 and lacks many features of a modern educational facility. The FY 2017 budget includes $900,000 to purchase the land necessary for the project. My husband doesn’t follow the school budget process closely so our conversation that night after Tari Moore’s press conference to introduce her proposed budget went like this. Contrary to what you might have read from various sources, including candidates for board of education, maintenance of effort is not a formula for adequate school funding. Instead, it’s a state law that provides a formula for the minimum funding a county can provide to its schools and was enacted to prevent a county from drastically and routinely underfunding public education. There are quite a few expenses that are not covered in the maintenance of effort formula yet are still the county’s responsibility. For example, the formula doesn’t provide any funding for pre-kindergarten students or take into account the added expenses associated with special education services even though these programs are required by law. While there are a few situations where a county can request a waiver to fund its schools below the maintenance of effort, such requests must be approved by the state and are not taken lightly. The FY 2016 budget felt like a light at the end of the long, dark tunnel for our school system. It included money to create a handful of sorely needed new positions, mainly in the area of special education. These new positions replace just a fraction of the jobs that had been cut in the last decade due to lack of funding. It also provided for cost of living and step increases for employees, expenses that are necessary to keep pay scales competitive with those in neighboring systems, both instate and out of state. As Superintendent Dr. D’ette Devine pointed out, “Pennsylvania loves to get teachers that we’ve trained,” but who leave our county for higher pay. Unfortunately, a maintenance of effort budget allows for few, if any, of those positions to be added. Finally, let’s rip the Band-aid off and talk about the County Executive’s proposed small capital budget. Small capital projects are those that are too expensive to cover from the operating budget yet do not meet the criteria of large capital projects. These projects are not eligible for state funding and are solely the county’s responsibility. Few projects have been funded in recent years and I was hopeful that we would see an end to that trend. Cecil County has watched the CCPS deferred maintenance list balloon to $44 million over the last decade yet it has no plan for completing the projects on the list. At some point, the county needs to stop waiting for the Deferred Maintenance Fairy to arrive on the wave of some kind of miraculous economic boom. Hope is not a plan. 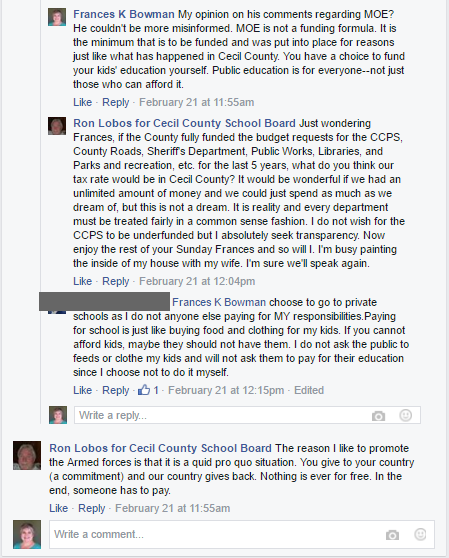 CRAIG WHITEFORD (former Cecil County budget manager) : …For the public school system. Within the confines of our entire budgetary document, not just the budget in brief, although I think we did make mention of the small cap, I can just tell you. In the small cap for the public school system, it was Rising Sun High tennis courts and the associated basketball court. WINSTON ROBINSON (finance director)/TARI MOORE: Along with the BTOP and Johnson Controls contract. ME: And the other things like the cooling tower at Perryville? WHITEFORD: They’re not proposed to be funded in the proposed budget [MOORE: That’s correct.] at this time. ME: And if there’s a failure is the county prepared for such an event? WHITEFORD: Well just like we do any time when something is proposed in the confines of a budget, we make ourselves available. It’s not as if the conversations occur after that type of thing would happen. Thoes conversations are ongoing. Our lines of communication remain open and we work together to try to meet the special needs as they occur so we’ll continue to do that. The Broadband Technology Opportunities Program (BTOP) and Energy Performance Contract are the first two line items in the prioritized list CCPS provided to the county executive and they must be funded. The county can decide which pocket they’d like to use to fund those line items, but they must be funded. The only other small capital project funded in the proposed budget? The replacement of the tennis courts and basketball courts at Rising Sun High School–a project that is sorely needed but is 10th on the request. That’s right. CCPS provided a prioritized list of projects with the replacement of a cooling tower as third on the list–only outranked by the BTOP and Energy Performance Contract–and Cecil County chose to disregard the recommendations from the tradespeople who inspect, maintain, and repair these facilities and instead make the political move to recommend improvements at Rising Sun High School. Why would they do such a thing? I can only think that the county decided to put CCPS in the unenviable position of taking funding slated for athletic facilities at Rising Sun High School and using it, instead, for a critical infrastructure project at Perryville High School. You can’t just pull a cooling tower out of a warehouse and install it overnight. If that cooling tower failed before it could be replaced it would be completely disruptive to the students and staff at Perryville. Once again, Cecil County pinned CCPS between a rock and hard place. And, once again, CCPS rose to the occasion. Despite this bit of good news, there are still many projects that Cecil County will be forced to address at some point and there are still no plans for addressing them. 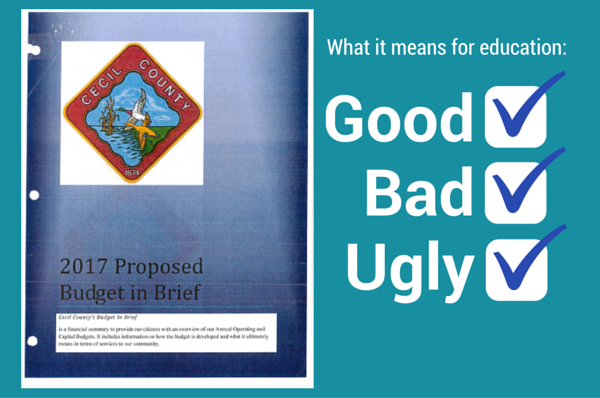 Speak in support of education funding at an upcoming county council meeting. Here’s the meeting schedule. You can find more contact info on the Cecil County website. In that post I provided screenshots that supported my theory from the candidates’ Facebook pages and included links to the actual posts on Facebook to further substantiate the facts. Those screenshots were just the beginning. Each newly elected member of the Cecil County Board of Education takes an oath to uphold the laws of the state of Maryland. (b) Promotion of schools. — Each county board shall seek in every way to promote the interests of the schools under its jurisdiction. “Just wondering Frances, if the County fully funded the budget requests for the CCPS, County Roads, Sheriff’s Department, Public Works, Libraries, and Parks and recreation, etc. 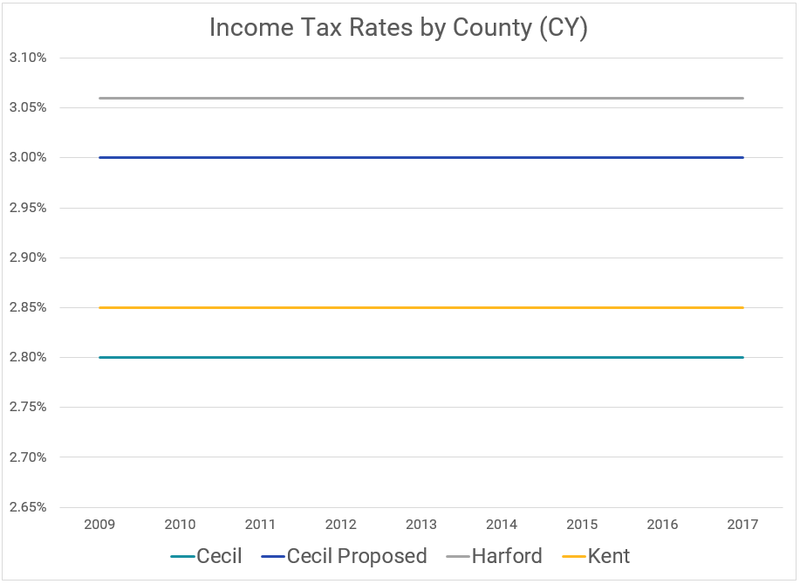 for the last 5 years, what do you think our tax rate would be in Cecil County? It would be wonderful if we had an unlimited amount of money and we could just spend as much as we dream of, but this is not a dream. It is reality and every department must be treated fairly in a common sense fashion. 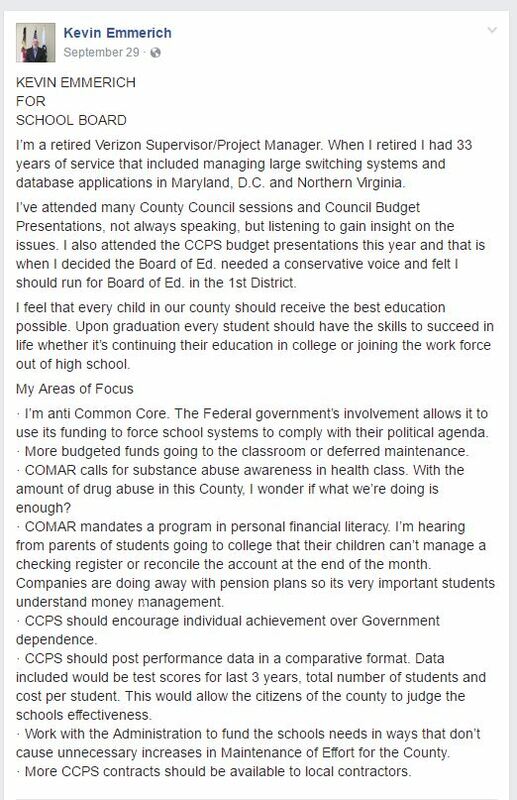 I do not wish for the CCPS to be underfunded but I absolutely seek transparency.” Here’s a link to the page where these comments originally appeared–they have since been deleted. How very transparent of him. The law makes no mention of board members advocating for other departments in the county yet Mr. Lobos is more concerned about the tax rate and budgets of other departments than funding the budget requests of the school system. These types of concerns are better addressed by positions in county government like county council or even county executive, not board of education. Did Mr. Lobos post a comment defending the rights of all students to free public education? 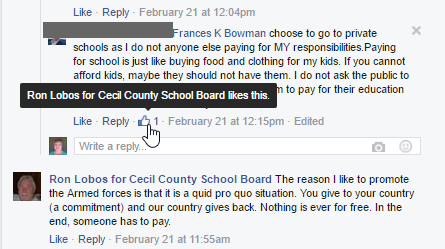 No, he or someone responding for the Ron Lobos for Cecil County School Board clicked the “Like” button on the comment instead. In addition to state laws and policies, board of education members are also accountable to policies at the county level. Members of the Board are expected to abide by the following standards in their relationships with each other when conducting business. 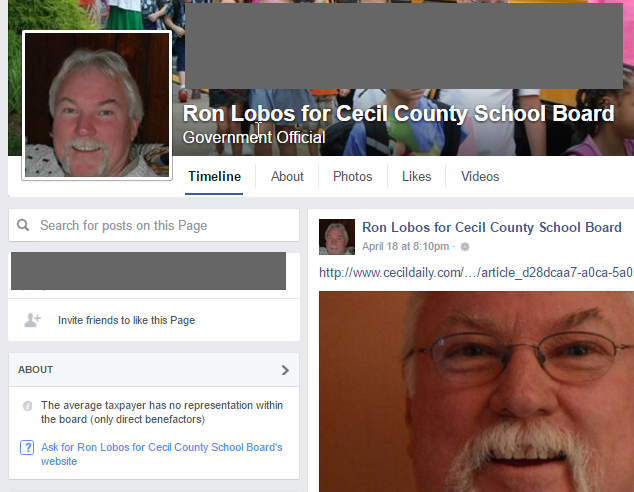 The About section of Ron Lobos for Cecil County School Board states: “The average taxpayer has no representation within the board (only direct benefactors).” Since Mr. Lobos doesn’t provide a definition of the “average taxpayer” and the minor students of CCPS aren’t taxpayers, it doesn’t appear that he’s interested in representing them at all. Keep in mind that Mr. Lobos identified himself as a conservative shortly after filing to run–despite the fact that school board positions are non-partisan. Two board of education seats will be filled in this year’s election and the field for one seat will be narrowed to two candidates in next week’s primary election. If those seats are filled by candidates whose intentions are something other than advocating for free public education for all students in Cecil County, they could turn the board from the cooperative group that operates in a professional manner into a dysfunctional sideshow that distracts from the business of educating children. Learn where each candidate stands on the issues. Read the candidates’ profiles from Cecil Whig. Watch their responses from the candidates forum on cecil.tv. Most importantly–vote in the primary election on Tuesday and the general election in November.